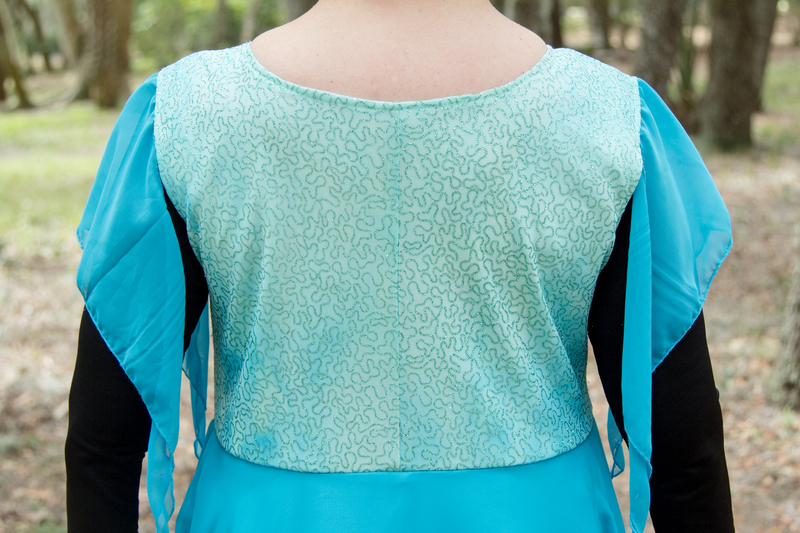 This top has a double skirt, poly-silk underskirt and chiffon overskirt. 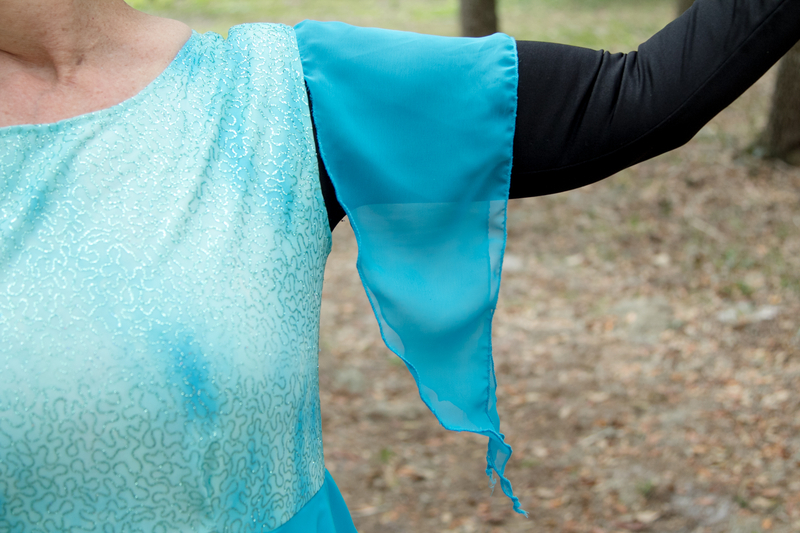 The sleevlets are chiffon and sewn only at the shoulders to give a very soft look. 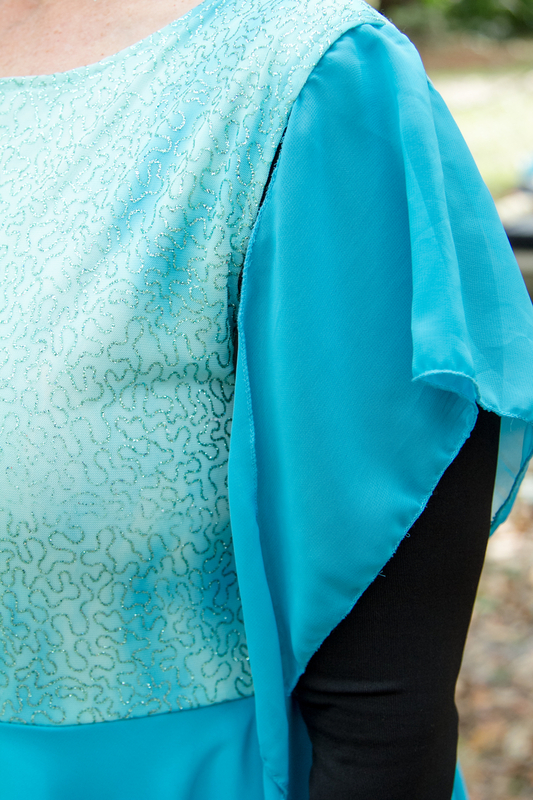 It comes in three colors: red, royal blue, and sea foam green. More colors are on their way. 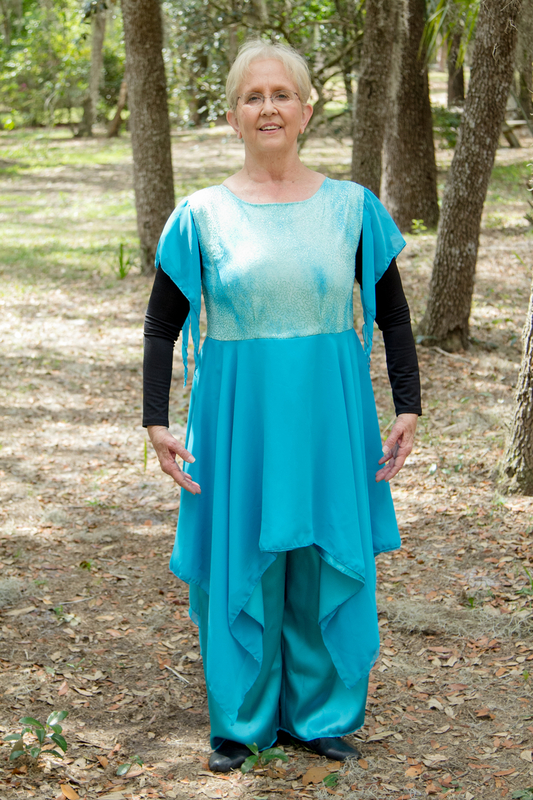 The white dress or aqua pants under the garment in the photo are for display only and are not part of the garment. 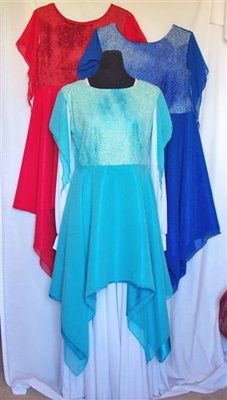 They look nice over leotards or a blouse and are great with pants or over a worship dress. Although shown with black underneath, they look exceptional with white. 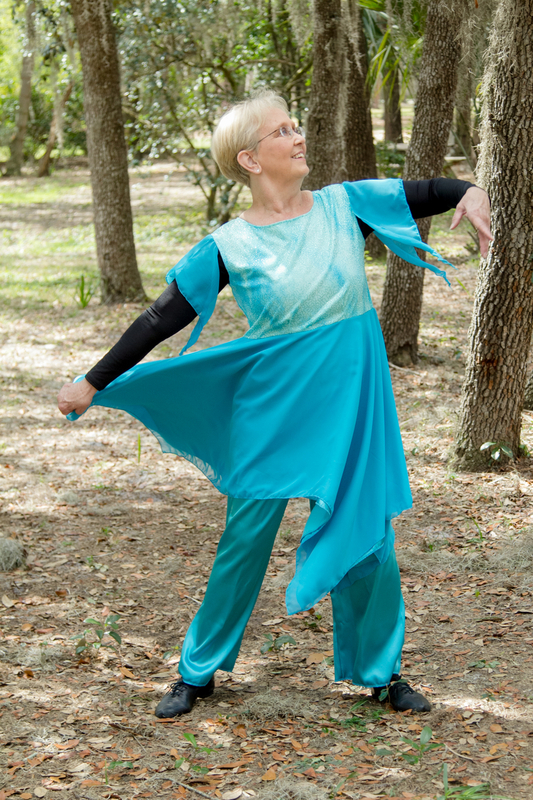 Be sure to get some coordinating satin pants or palazzo pants too! Please choose your, size(s) and color(s) in the drop down lists above. Larger sizes will be an extra cost. The size in inches is the bust measurement. 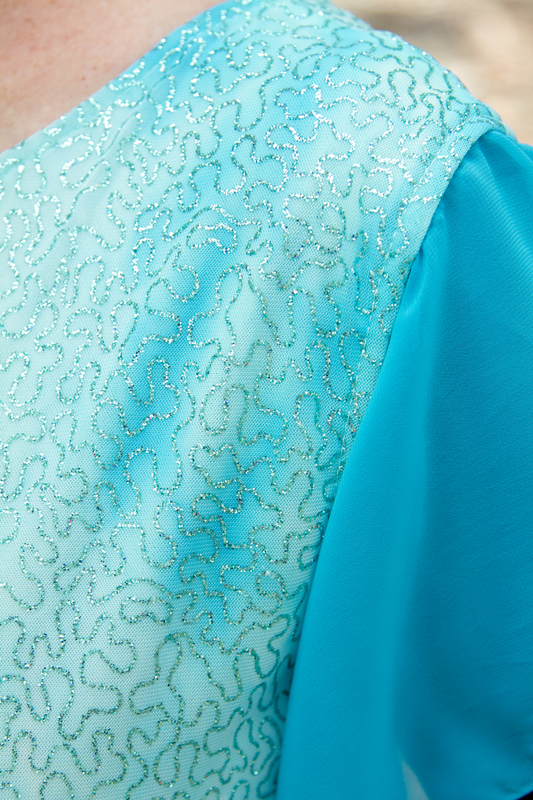 Please note: the aqua may come in a slightly different shade than what is shown. For one to six tops, please allow 2-3 weeks for creation. For 7-12 tops, please allow 3-4 weeks for creation. Any number over 12 and for $12 additional for a rush order, please call first (863) 398-8161 for creation time. Once they are finished being sewn and packaged, then your shipping time will begin. Some items are in stock and will come much more quickly than outlined, but this is to safeguard, in case there is an overload of orders all at once. Thanks for your patience. 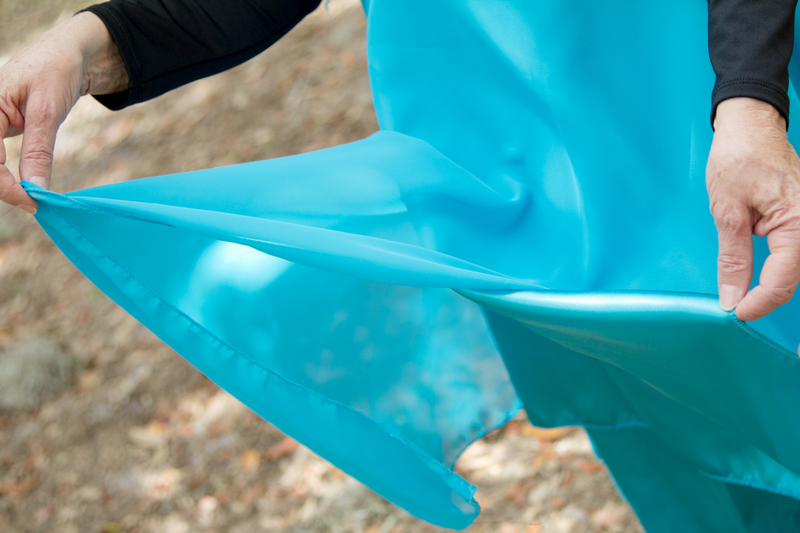 There will ONLY be returns if there is a material defect, such as a tear, flaw or hole in fabric. If you are unsure of the color, please make the picture larger. Please keep in mind that some browsers and computer screens portray different shades of color depending on their settings. There will be no returns if you did not measure correctly or selected the incorrect size or did not like the color, as each garment is made individually by hand. 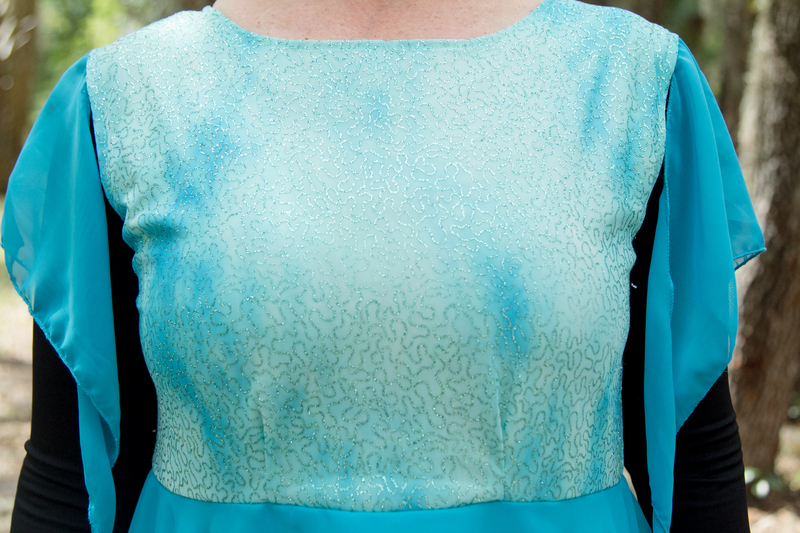 Pros: Just the right color for worshiping to music about the river, water, stars, or prophetic flow. The top sparkles as the light shines while you move!